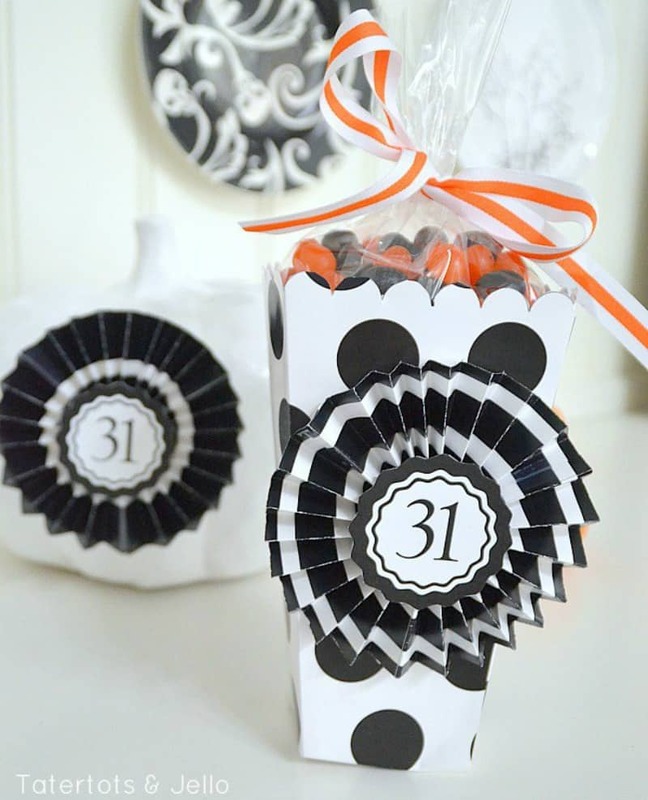 These 10 different adorable Halloween treat bags are easy to put together for a special party treat or for the cute trick-or-treaters that will come knocking at your door. You’ll be the most popular house in the neighborhood on Halloween! I don’t get into the scary side of Halloween much, but I do enjoy handing out special Halloween treat bags for the kids that live on our street. I love to see the delight on their little faces when I hand them a special treat bag as opposed to just giving them treats from a store’s candy bag. We probably get 200 – 300 trick-or-treaters in our neighborhood every year. It’s a small neighborhood, but for some reason it has become a popular place for people to bring their kiddos to trick-or-treat. I could never provide enough treat bags for that many trick-or treaters, so I let most of them dip their hand into the candy bowl and pull out a few treats. But, for the special few that are our direct neighbors, I have a lot of fun coming up with cute treat bags for them every year. 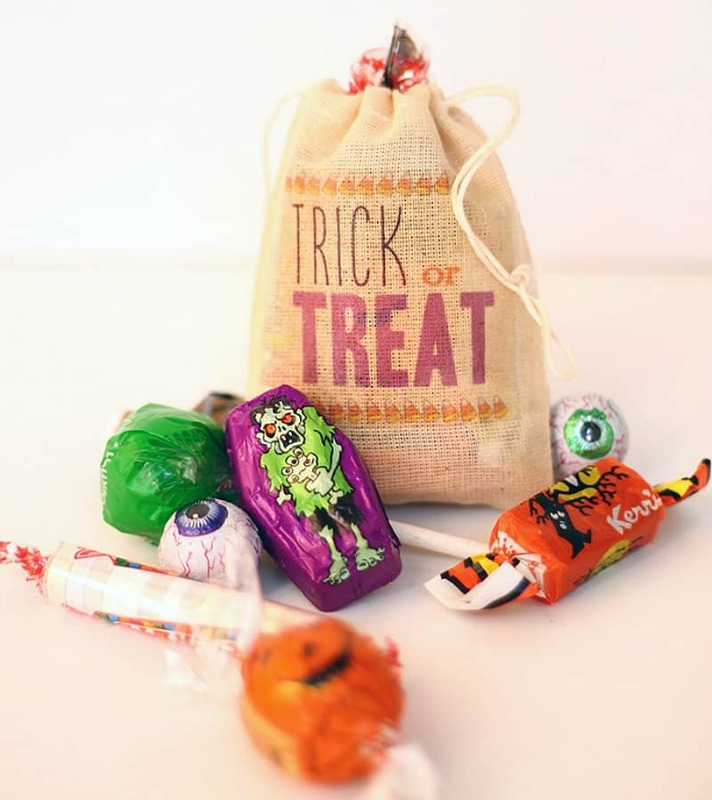 I’ve been looking for ideas for this year’s kiddos and have rounded up a list of 10 adorable Halloween treat bag type treats that I’ve run across. Click on the text directly below each image to find out more about each one. 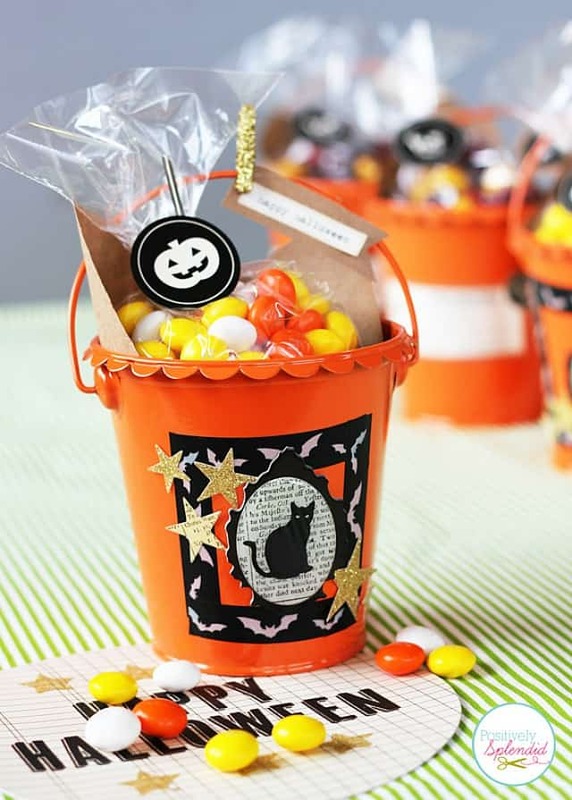 I see these little mini buckets everywhere and they’re perfect for filling with a variety of Halloween treats. These cute bags are made using a Silhouette machine, but you could also use pre-made cutouts. These treat filled cones are adorable and would work well for treat bags or to hold treats at each place at the supper table. 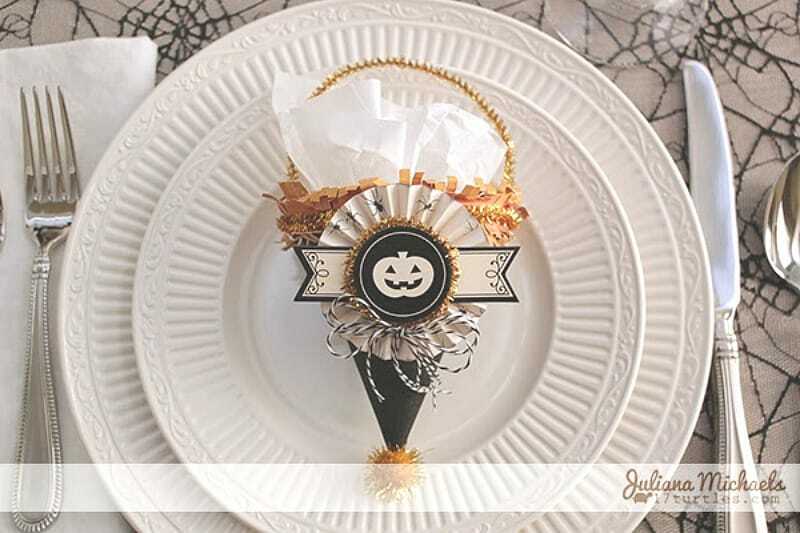 I can’t think of a single adult who wouldn’t love this at their place setting! If you’re pressed for time, this free printable is cute on pre-made bags. 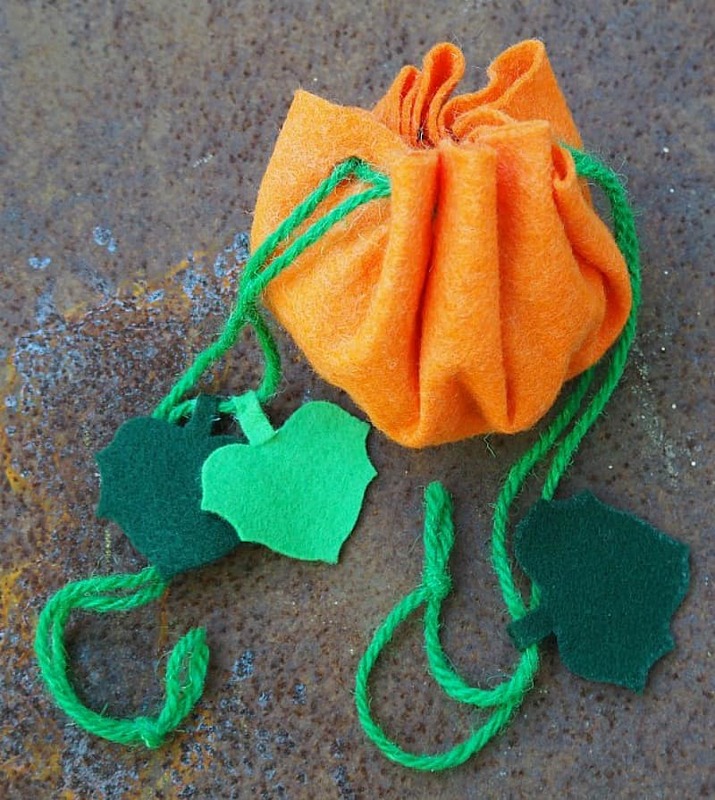 All you need to make these cute Halloween treat bags is some felt, some yarn and a hole punch. Easy! 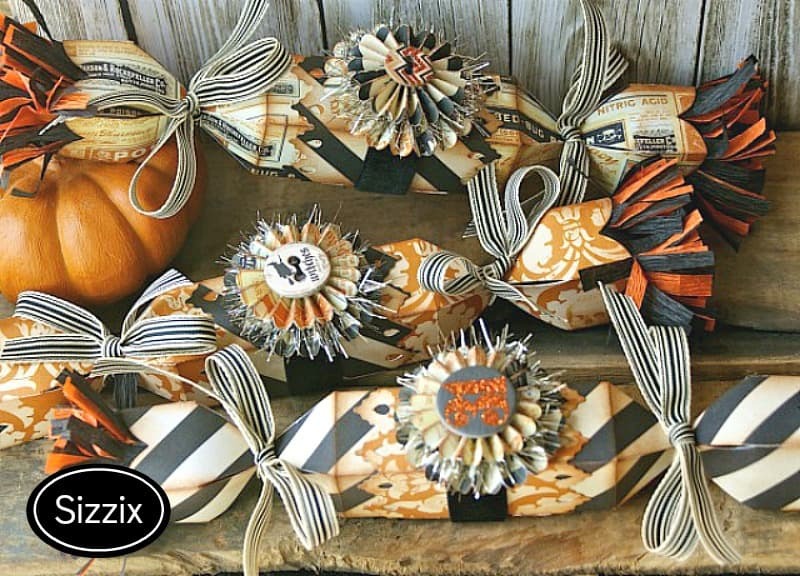 Here’s yet another way to put those cardboard TP tubes to good use. Now here’s a super easy idea! 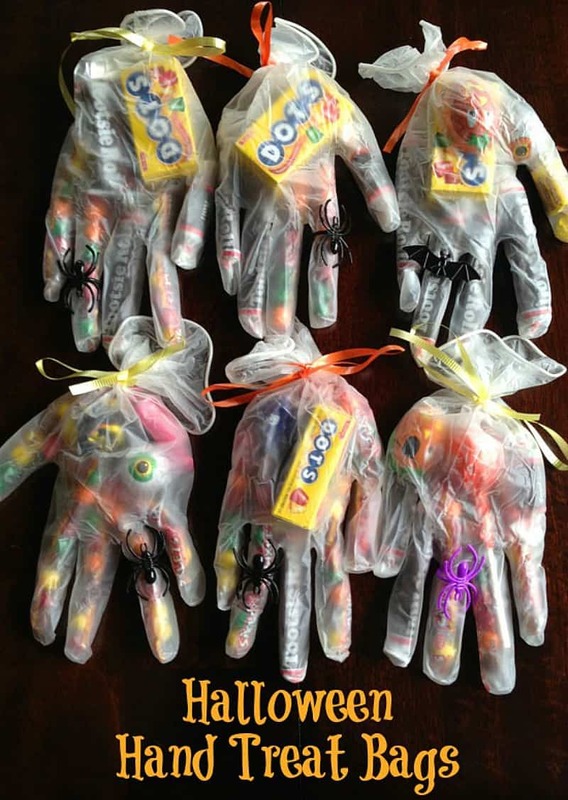 Just fill latex gloves with several different treats and add a creepy plastic ring. How about recycling some of those old bottles or jars you have filling up your cabinet? These diy popcorn boxes might appeal to the adult kids more than the little tikes. 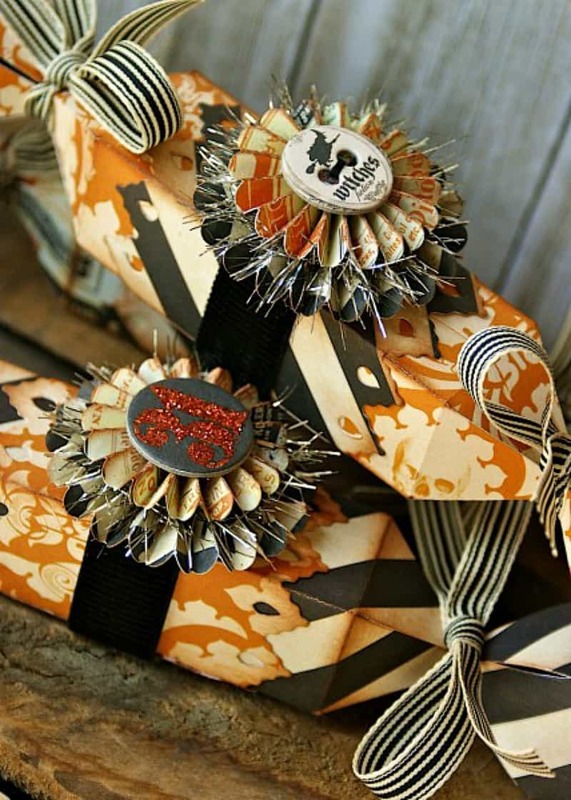 The tutorial includes the free downloadable template for the box, rosettes and medallions. 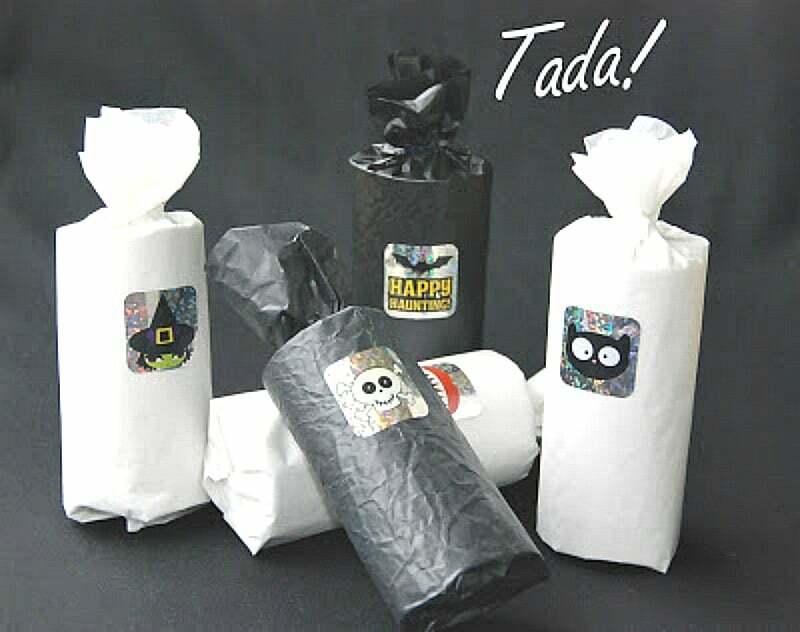 And lastly, these vintage-look Halloween treat poppers might just be my favorite of all. So tell me – are you the “Just stick your hand in the bucket” type or are you an “All treats must be special” kind of person ? So many great ideas. I will have to make up my mind, and go with one. I like having something special for my extra special Trick or Treaters. I also have never gotten into the scary side of Halloween. I do love making all the goodies for family & friends though. You have given some wonderful ideas to add to my long project list. Thank for sharing your ideas. We look forward for Halloween every year. My husband & I dress up in costumes including our two dogs. We go all out in decorating the house and the front yard. We live in a huge neighborhood, approximately 1000 homes. You can imagine how may children visit our house for trick-or-treat night. We too give special treats to the kids on our block, and ofcourse our four legged friends that pass by. Good timing on your post today, Suzy. I’ve been thinking about how I want to package the candy this year. Thanks for the cute ideas. Happy Halloween! Boo! We live in a neighborhood where we don’t get very many little trick or treaters so I just have a candy bowl. I do go all out for our grandson though. Your ideas are so cute and worth a try. Thanks. I just love the Halloween bags etc. What great ideas and so festive. This was one of my favorite blogs so far…It brought out the child in me. These were all really cute ideas! We don’t get a whole bunch of trick or treaters but I do make special treats for my granddaughter. I love the glove – so clever! We have a tail gate coming up this weekend – I’ll take my bowl of hands! 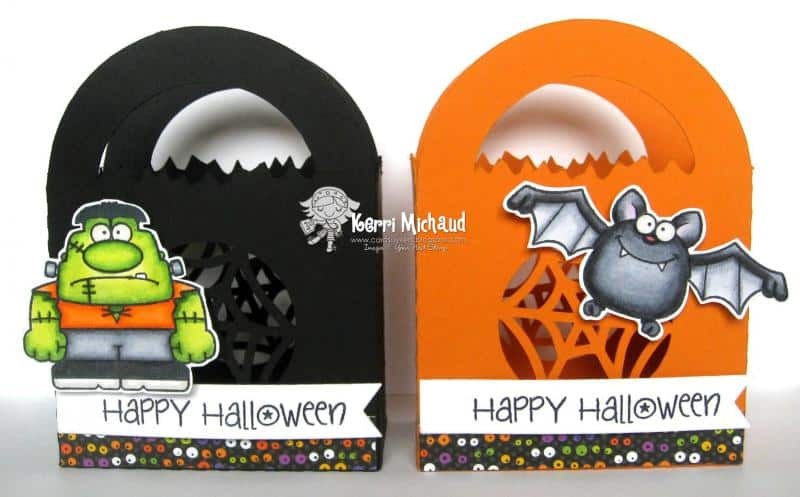 Cute Halloween treat bags! I do the same as you – I make bags for my closest neighbors and then just give a handful of candy to those I don’t know. Thanks for all of the great ideas! These are REALLY cute! Thanks for the inspiration, Suzy! Such cute ideas Suzy. 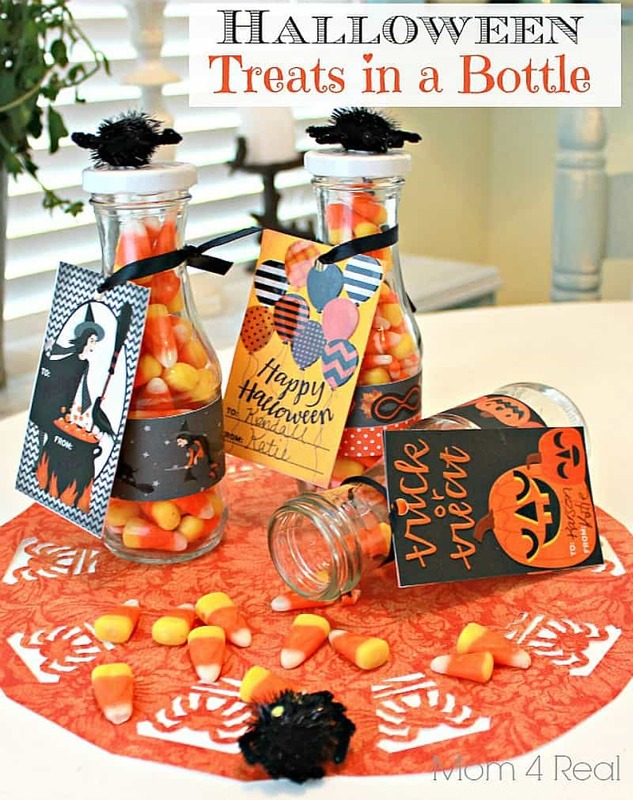 I live in the country and don’t get any trick or treaters, but such great ideas for my grandchildren! My kids get extra excited for the treat bags when trick or treating. They are like opening presents when we get home to look at the candy. I love the first treat bag with the cat on it! So cute! I will be doing that one next year. The gloves treat bag was my second favorite.